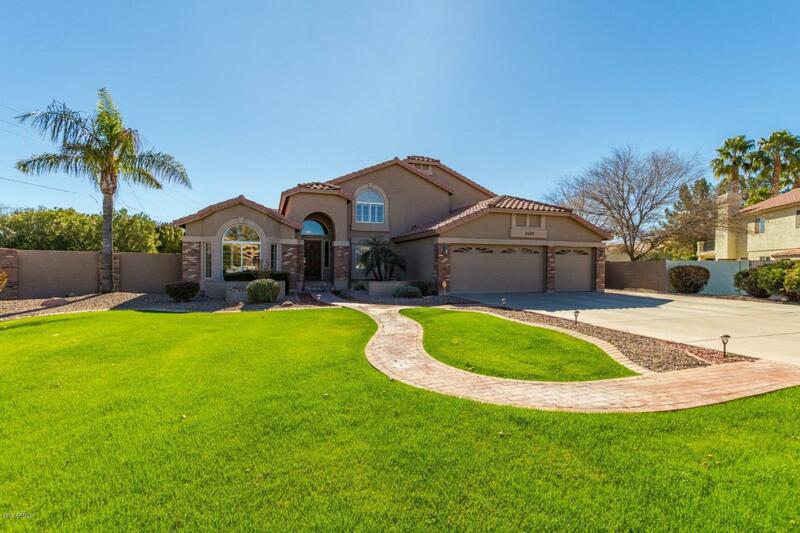 True pride of ownership is evident in this incredible home on a nearly 1/2 acre culdesac lot in Gilbert's Carriage Parc Estates. 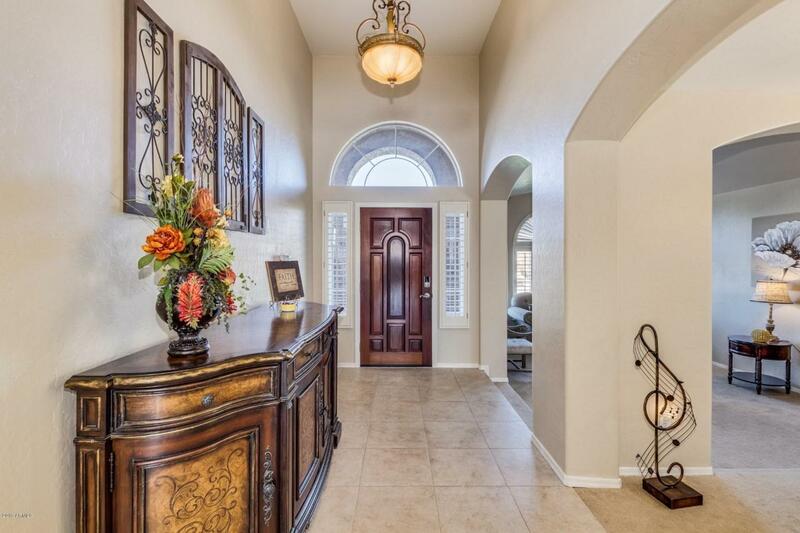 An open and spacious floorplan greets you with high ceilings, view windows & intimate formal living/dining areas. Eat-in kitchen boasts granite counters, backsplash, SS appliances, and breakfast bar, opening to the large greatroom complete with bar and fireplace. Perfect split layout with 2 bedrooms & 2 baths upstairs and 2 bedrooms & full bath downstairs. 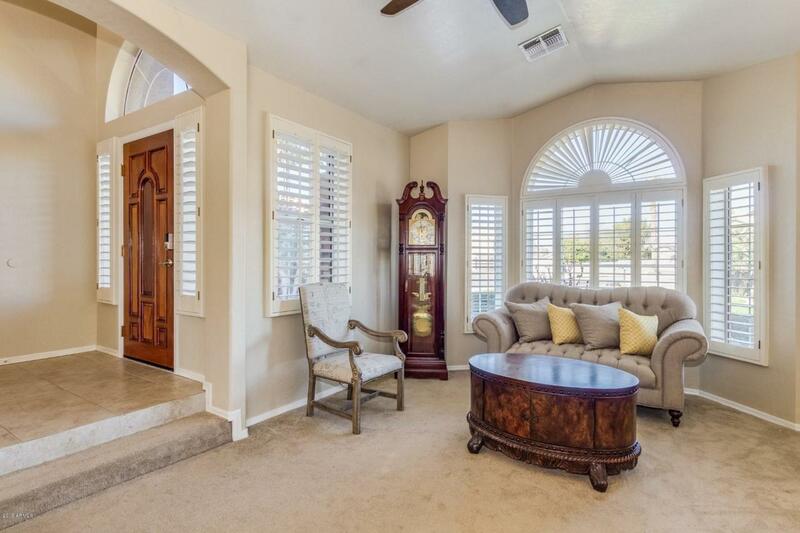 Master suite has large sitting room & master bath w/jetted tub and custom tile creating a venetian-like spa. 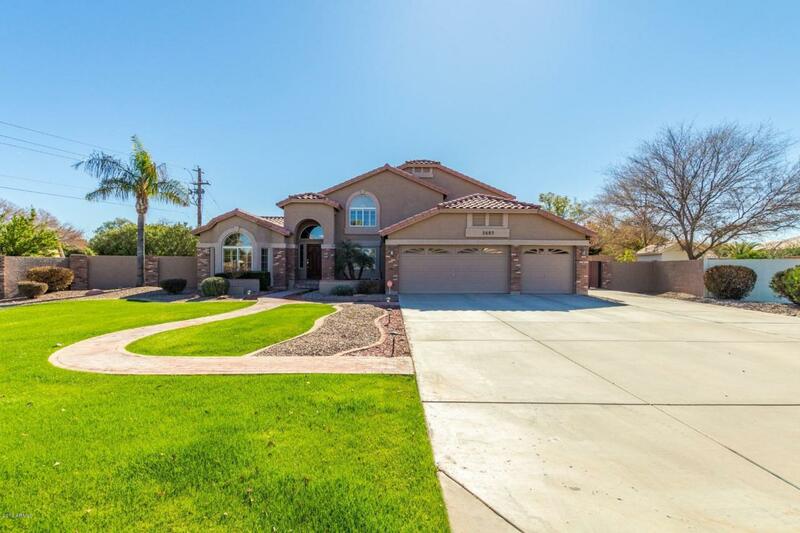 Imagine yourself poolside or relaxing under the large covered patio; NO neighbor behind! Workshop & separate storage for your home projects leaving the 3-car garage & 8-car extended driveway for parking.